Mail merge is a very efficient tool when you need to use data from your databases to create letters, envelopes, labels, etc. Microsoft Access 2007 allows you to do this is two ways: either link to an existent Microsoft Word document or create a new document . In general, you won’t need all the fields in a table and most often you'll be creating a query to use only the name and address of the recipients. In the Navigation Pane click the table which has the data you need to use. 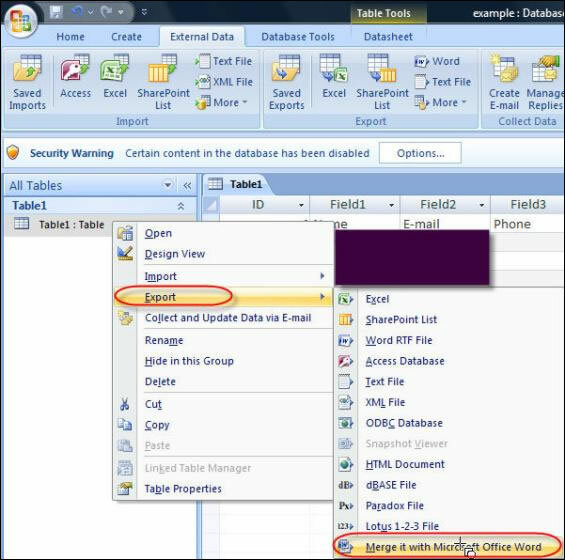 Then click on the External Data Ribbon , go to the Export section, click More and choose Merge it with Microsoft Office Word. 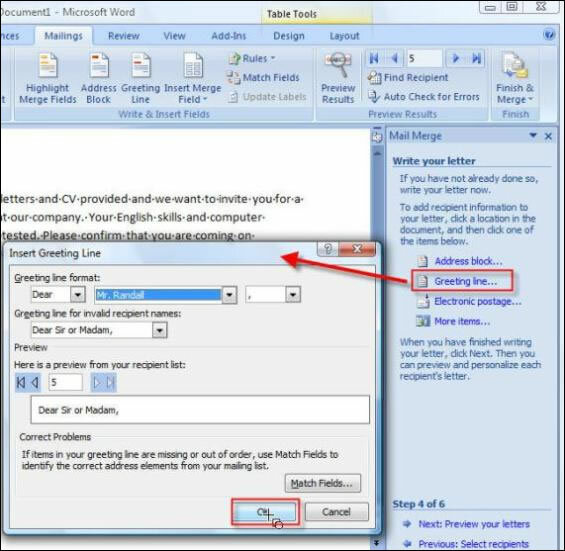 A Microsoft Word document opens and you are asked what you want to do: create a letter, an envelope, a label or a directory. 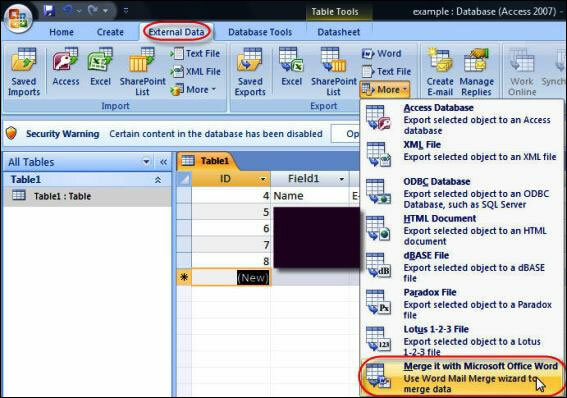 For this tutorial we’ll be choosing “Letter” and follow the Wizard Microsoft Office 2007 provides. 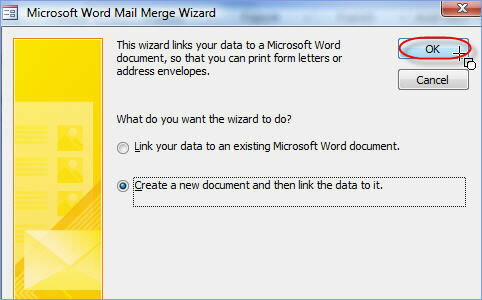 The 2nd step of the Microsoft Word wizard asks if you want to create a letter based on a template or not. The 3rd step asks you to choose the recipients. To use the table in Microsoft Access make sure to let the first button be selected. Click on Browse and navigate to the location where the database is saved. Microsoft Word will ask you to choose who you want to send the letter to. If you haven't written the letter yet, now you can do it. 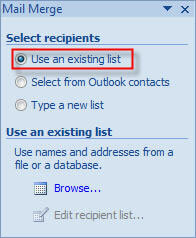 Also at any point you can add new fields to the letter and take them from the Microsoft Access 2007 table. For example, if we want to add a greeting line, click on Greeting line and choose the appropriate one. When done click on OK. If you want to add a field from the table, click on More Items and choose the appropriate field. When done click on Next. 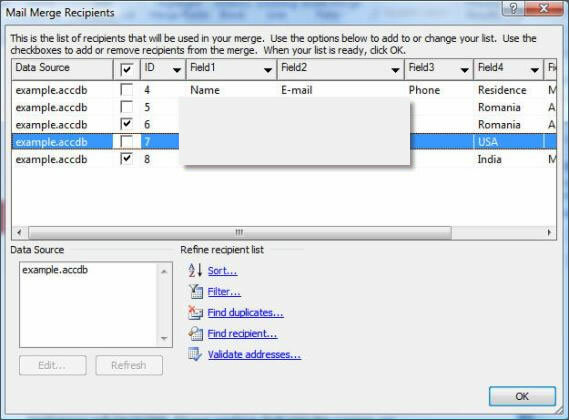 You can edit the list of recipients before completing the merge. When the merge is completed you can print the letters and/or edit the individual letters. Save the Microsoft Word 2007 document in case you need to edit it or need it for another time. Microsoft Access is an application used to create small and midsize computer desktop databases for the Microsoft Windows family of operating systems. It can also be used as a database server for a web-based application. This electronic book (ebook) provides lessons on how to use Microsoft Office Access 2007 to create and manage databases. The lessons follow a step-by-step format with practical examples.